﻿ Best Price on Las Palmas Residence in Las Terrenas + Reviews! 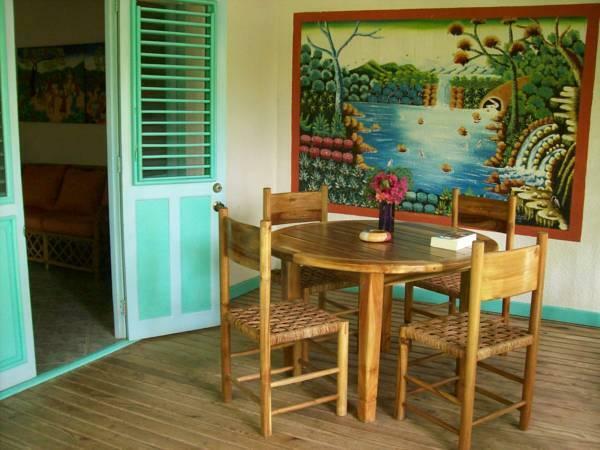 Just 328 feet from the sea and beach, this Las Terrenas apartment features a fully equipped kitchen. Each apartment is surrounded by tropical gardens. The spacious apartment provides a living area with cable TV and internet access. A refrigerator, coffee facilities and kitchenware are provided. Las Palmas Residence apartments are decorated in tropical décor and tile floors. Air conditioning is not available but each apartment features a powerful ceiling fan in each room. Downtown Las Terrenas is a 10-minute walk from the Residence Las Palmas. Samaná El Catey International Airport is 16 mi away. This property offers electricity service 24/7. Guests are required to show a photo ID and credit card upon check-in. Please note that all Special Requests are subject to availability and additional charges may apply.